Why is Manchester so popular? Throughout 2018, Manchester consistently topped the list of cities that provide the best return on property investment. The growth of the housing market comes at a time where investors may be wary of putting their trust in London as it continues to suffer from issues including Brexit uncertainty. As of December 2018, it was reported that the average property price in Manchester was £184,354 making it comparably cheaper than London’s average asking price which exceeds £600,000. The Northern Powerhouse has proven that it’s an investment hotspot by returning yields around 67% higher than those in London. It was also found that house prices are growing 15% faster than those in the capital, meaning that Manchester is an attractive prospect for investors whether they’re looking for a quick return on investment or want to build a portfolio in the city. With a massive student market and a northshoring effect that’s driving new jobs to the city, Manchester’s private housing market is booming. For investors, this means they now have a unique opportunity to build their portfolio in a city that is showing promise with continued growth and plenty of reasons to invest. 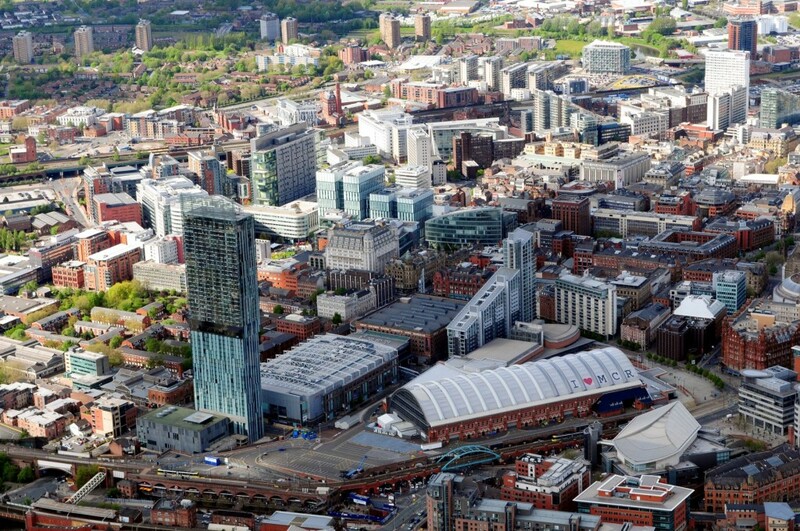 After a 7% growth over the last 9 years, Greater Manchester’s 2019 population has been estimated at 2,719,074. With consistent growth, this figure is set to exceed 3 million by 2035, solidifying Manchester’s position as the UK’s second capital. The city is currently the UK’s best prospect for residential price growth over the next 5 years. Alongside this, homes in Manchester typically sell three times faster than in London, spending as little as 36 days on the market. This is due to the high demand for housing in Manchester greatly outweighing the supply. As businesses continue to flood into the area, more properties are needed for the professionals looking to join them. In 2015, it was estimated that 55,000 new properties will be needed in the city by 2027, roughly 4,583 new homes a year. However, it was found that the city is only delivering 30% of the numbers required every year. If these targets aren’t met, then Manchester risks widening the gap between the supply and demand. 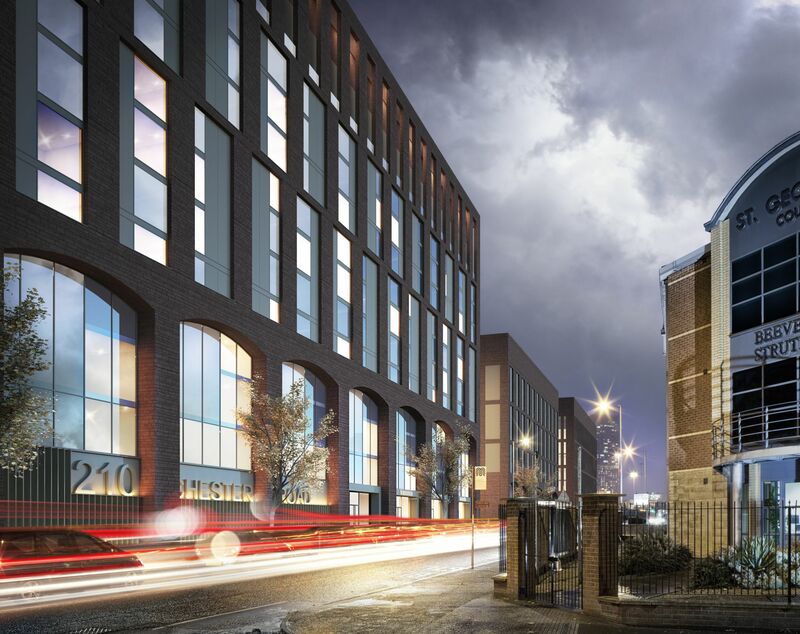 This will lead to a boom in the private housing sector with rental prices continuing to rise as more professionals continue to move towards current and emerging opportunities throughout Greater Manchester. In the past 5 years, house prices in Manchester have increased by 32.5% and are expected to continue increasing a further 22.8% between 2018 and 2022. Meanwhile, London’s property prices are only predicted to rise by 10.3% over the same period. These figures just prove how attractive property in Manchester is to both foreign and domestic investors. Greater Manchester is home to one of the largest student communities in Europe boasting around 100,000 students between the local universities. This huge population of students just goes to show that Manchester is a first-class destination for higher education. With big name companies such as RBS moving to Manchester and the BBC relocating 8 of their business divisions to Salford’s Media City, local jobs are being created at twice the rate of the entire north. Each year more businesses announce that they are investing in Manchester and these exciting opportunities are keeping students in the area long after they have graduated. Between the 2010/11 and 2014/15 academic years, over half of higher education leavers remained in Greater Manchester, showing just how appealing the city and properties are to students. 2018 saw around 19,000 overseas students attend universities in Manchester and this figure is only expected to rise as UK universities push for more overseas students. One key motivation for this is because these students have more disposable income and pay higher tuition fees. Regardless as to whether it’s foreign or domestic students, the prestigious universities provide a lucrative market for investors to build their portfolio in, as each year brings more students and graduates looking for properties to rent or buy. The north of England has always been renowned for innovation. From the industrial revolution to computer science, much of everyday life has been enhanced by the breakthroughs made in Manchester. While things may have evolved since then, the city has managed to adapt and continues to change the world. Since 2014, the Northern Powerhouse project has been improving the connectivity between the north and south of England while also growing the GDP economy. With Manchester’s reputation for ground-breaking discoveries and its status as the second largest city in the UK, the government viewed it as an opportunity to prove the economic prowess of the north, growing the region and creating 850,000 jobs along the way. Back in 2017, the UK Tech Innovation Index named Manchester as the third most active tech innovation city behind London and Edinburgh. Since then the Manchester has seen a boom in the tech sector as companies such as Amazon, Booking.com and Hewlett Packard Enterprise look to set up important offices in the city. The influx of businesses heading towards Manchester has led to the city being compared to Silicon Valley and this is supported by a tech workforce of 52,000, the largest outside of London. These businesses aren’t just moving to Manchester, they’re actively investing in the city. 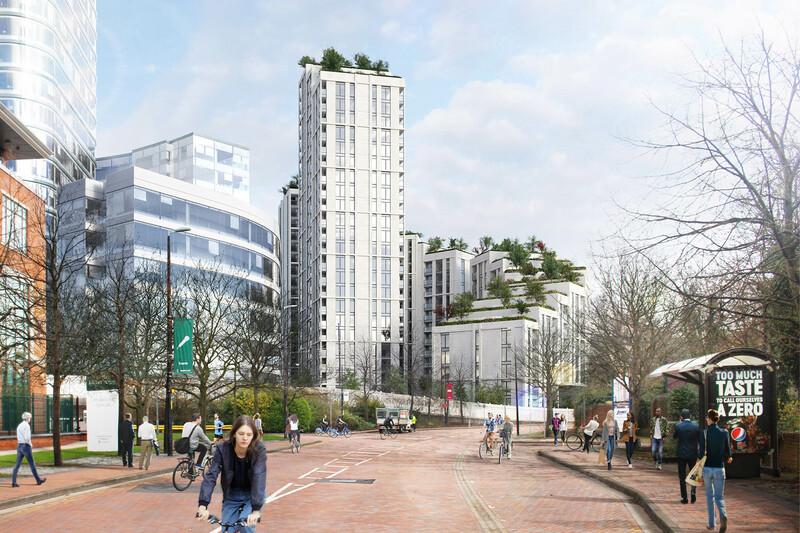 In late 2018, The Hut Group announced plans to construct custom-built development that would cost around £760 million and Booking.com have invested £100 million to create a campus for their 1,500 strong UK workforce, creating up to 900 jobs. This demonstrates just how confident international businesses are in both the city and the skilled workforce living on its doorstep. It’s estimated that Manchester has one of the biggest workforces in Europe with approximately 1.4 million professionals working throughout Greater Manchester. This is only going to increase as decentralising businesses continue to create new jobs throughout the county. Towards the end of 2018, Amazon announced they would be creating 600 new jobs in the city to work on research and development projects including software development and machine learning. The Northern Powerhouse is set to become stronger with investment being made into Manchester’s transport infrastructure. The main project that will benefit the city is the introduction of HS2 which will , cutting an entire hour off the travel time. This means that Manchester could even become a viable option for those working in London but unable to afford a property. It also suggests that businesses looking to expand to the north can easily connect their business to the capital. 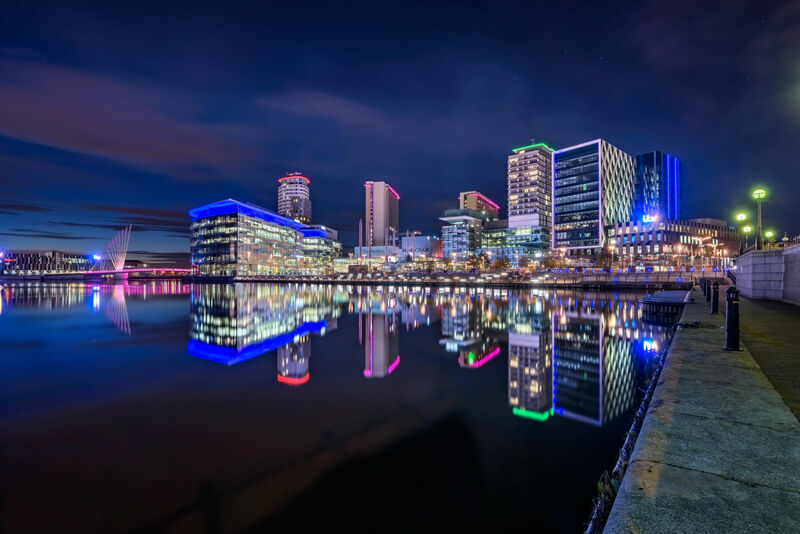 With labour and accommodation being cheaper towards the north, many businesses are deciding to decentralise from London and take advantage of the many benefits other parts of the country offer. Manchester has quickly become the most popular northshoring destination as businesses including ITV, TheLadBible, Missguided and Bet365 call the UK’s second capital home. These businesses are seeing plenty of advantages by leaving London, including cheaper rents, and access to one of the biggest workforces in Europe. When the BBC moved to Manchester, they brought 2,000 new jobs and as more companies continue to bring more roles to the area, the talent pool is only set to get bigger. For those looking to invest in property away from London, this means Manchester will be facing a higher demand for housing and rising costs. So, with housing prices throughout the area expected to increase by 22.8% between 2018 and 2022, investors should be looking to enrich their portfolio sooner rather than later. From the unique pubs and clubs of the Northern Quarter to record-breaking sports teams, it’s not just business that brings people to Manchester. With 2 of the biggest Premier League teams calling Manchester home, the city is immersed in sporting history. Football isn’t the only sport that brings fans to the area, basketball, rugby and hockey make sure that those settling into the area have plenty of teams to support. Alongside this, there are also professional facilities such as the world’s fastest Olympic level velodrome. With 3 world-leading universities located in the heart of the city, businesses are bringing exciting opportunities to Manchester’s graduate workforce. The impressive student recruitment rate means that investors have the opportunity to provide rental properties for students and young professionals alike. As businesses continue to decentralise, the need for strong transport links with the rest of the UK and the world is incredibly important. Fortunately, Manchester makes access to the UK’s major business hubs such as London and Leeds easy. With the M6, M62 and M60 all on Manchester’s doorstep, the city has direct access to motorways that connect the north to the south. Manchester’s airport has been a big part of building the city into an international business hub. Currently, it sees around 17 million passengers flying to and from over 200 destinations. With a £1 billion investment announced to transform the airport, these figures are set to increase even further. It’s estimated that once completed, an extra 10 million passengers will pass through the airport every year. A rich tapestry of success including Alan Turing and Oasis have people searching the city for the next big thing. 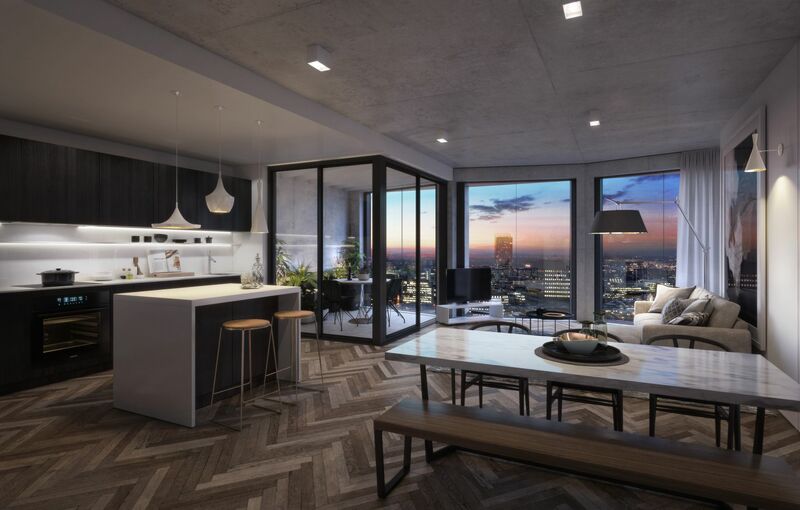 With so much on offer, a unique Mancunian culture and the status of a growing hub for international business, it’s no wonder there’s so much demand for housing as more people look to leave London behind. At NPP, we have properties available across the city and each one is forecasted to deliver favourable returns on investment. In fact, our average yield in Manchester is almost twice as high as those found in London. The capital currently has an average yield of 3.2%, while NPP properties throughout Manchester typically return 6%. For those looking to invest in buy-to-let properties, the expected ROI is the same and we even offer 2 years free management. This means that we’ll handle finding a suitable tenant for your property, so you don’t have to worry. The overall return on investment that investors receive can vary depending on which development you invest in. However, our most profitable opportunities are those that are furthest off-plan. This is because we’re selling them at pre-launch prices and their value is set to increase with market inflation once construction is completed. 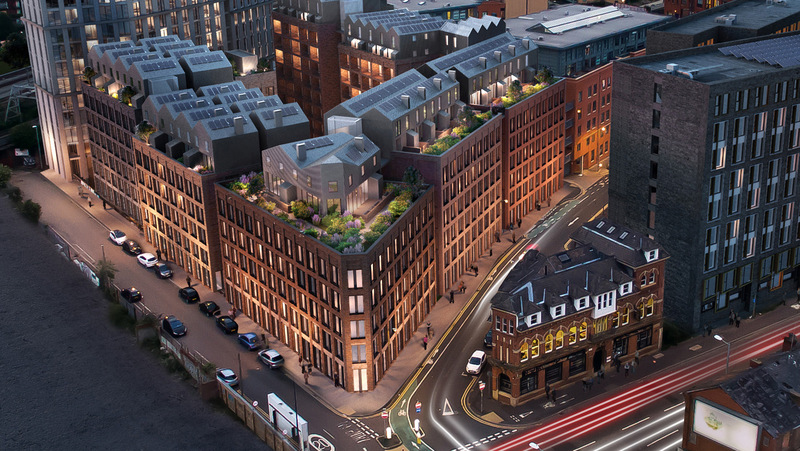 Currently, our market forecasts are estimating an increase of up to 20% on our off-plan developments such as, so now is an excellent time for foreign and domestic investor to turn their attention to Manchester, England’s second capital. So, if you’re looking to invest in a thriving city away from the property bubble of London, then Manchester is the perfect option. It’s consistently building on its already impressive status as a global hub for business and ground-breaking innovation. Any investor interested in investing should do so soon as house prices are only set to increase over the next few years. At NPP, we’ve got plenty of investment opportunities available in highly sought-after locations such as Manchester city centre, Media City and Castlefield. Take a look at our portfolio and get in touch to make sure you’re adding the Northern Powerhouse to your investments.